Recently someone asked me the question, “What does a launcher do?” The easiest definition that comes to mind is this: a launcher is an app for your phone or tablet that allows you to click shortcuts for common activities. Hmm, okay, what exactly does that mean? Think about being able to text your best friend, email your boss, tweet great news on Twitter, or get directions home by just tapping a button. Then think about being able to do each of these activities from one single spot on your device? In less than two minutes you could do them all with a launcher instead of fishing through those organized folders you created to hold your apps. A launcher will take those things you do on your phone all the time and allow you to do them faster and with less effort. Take a look at these seven awesome launcher apps for getting things done and see how they can help you be more productive, efficient, and simply make your life easier. 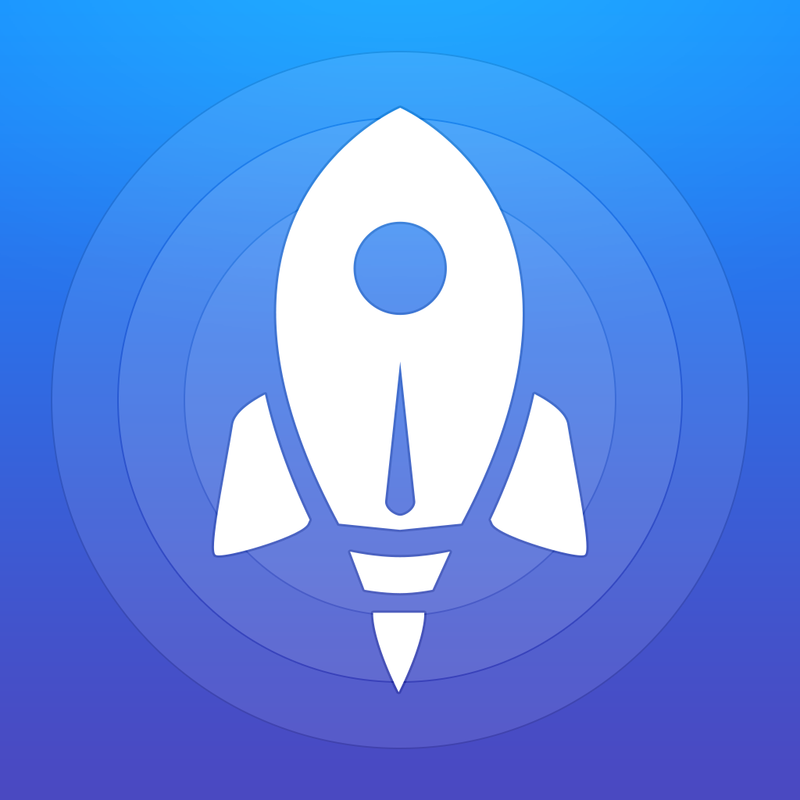 Launch Center Pro is a great productivity app for opening shortcuts to things you do frequently. You can use built-in functions or create your own to do exactly what you want, when you want. 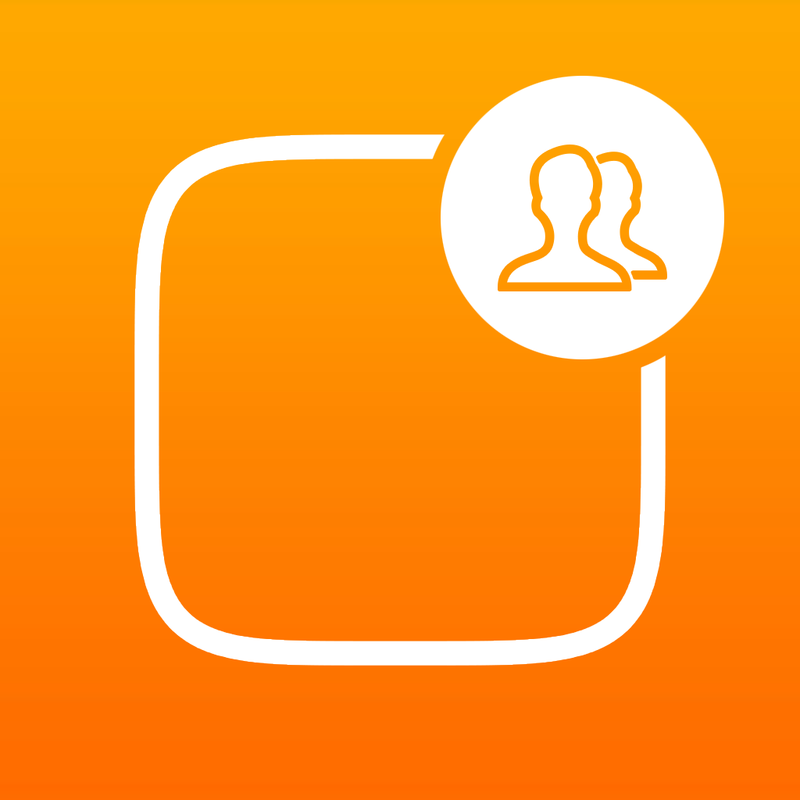 Tweet a photo, post a Facebook selfie, create a new calendar event, or send a group message quickly. Imagine this scenario: every Monday morning you email your boss a status update on your projects. You can set up an action with Launch Center Pro so that with a tap it opens your email app, with your boss’s email address and the subject line already pre-populated in an email for you. It even has body of the email filled out and ready for you to just plug in dates, statuses, or whatever else is needed. 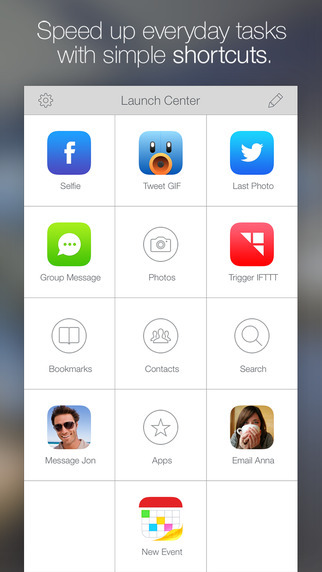 This is the type of convenient shortcut you can set up with Launch Center Pro. Launch Center Pro is a terrific choice for customizing actions. You can select the shortcut category such as bookmarks, photos, or apps. Then just edit the built-in function or create your own. When creating your own, you will add all necessary details for the action to be performed, like URL, icon, or schedule. You can also create your own action to perform different functions for the featured apps, system actions, or installed apps. To use Launch Center Pro just hold down the appropriate icon and you will see the available options under that category. Then just slide your finger to the desired action and release. The app takes care of the rest. Launch Center Pro is a favorite providing a handy way to keep all of your shortcuts in one place for easy access. The app is available for $4.99 on the App Store for iPhone and iPad. Workflow is another terrific tool for launching actions that you perform often and also offers custom options. Get directions quickly, tweet a tune you enjoy, send a message to your favorite contact, or even calculate a tip – each with a single tap. Here is another scenario for how a launcher like Workflow is useful. Maybe you and your friends have a deal. Any time that one of you goes on a date with a new guy that no one knows well, you share your location with each other for safety reasons. What if you could set up an action that sends a link to your current location via text message to your three best friends? And again, all you did was tap one button in Workflow when you arrived to do this. Talk about a handy tool, right? Setting up shortcuts is easy and you can start from a gallery of pre-existing actions. 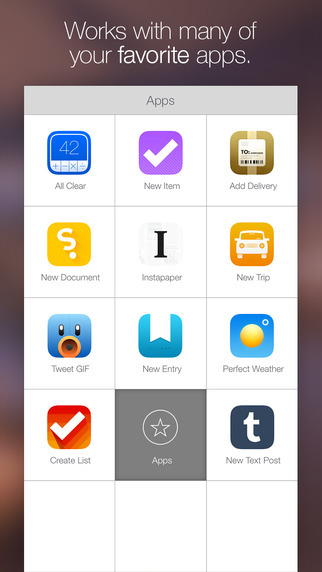 If you see one you like, click the button to Get Workflow and edit according to your needs. For example, the Running Late shortcut connects to your calendar, gets travel time, and can send a text to your chosen contact. 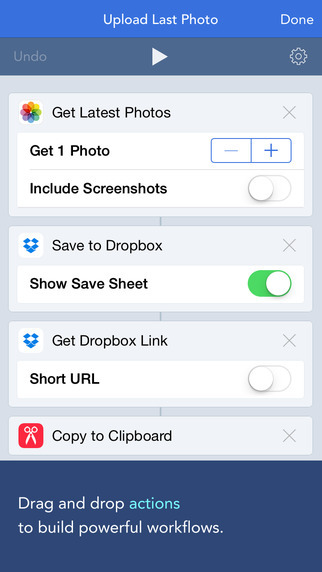 You can also create custom shortcuts by combining actions, just like with Launch Center Pro. To use Workflow, just open the app and you will see all of your shortcuts in a tiled layout. Then, pick the one you want and just click the Play icon from the top to run the shortcut. You can also double-click the shortcut to run it, which is really convenient and fast. 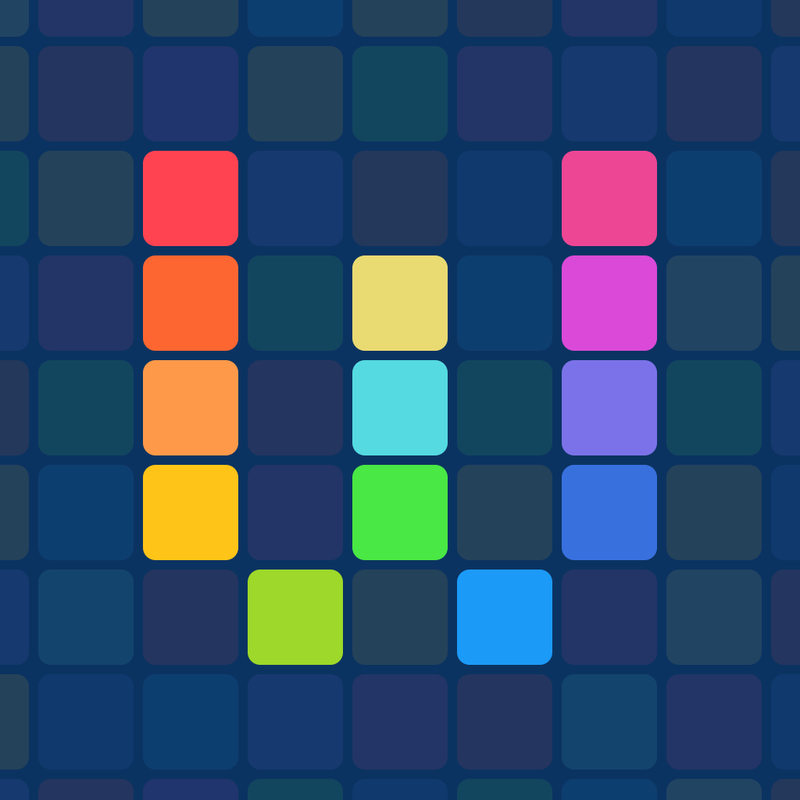 Workflow is designed for iPhone and iPad. With Apple Watch support as an extra benefit, you get even more convenience. It is currently available for $2.99 on the App Store. Contact Center allows you to set up shortcuts for contacts that you frequently connect with for different types of communications. This makes staying in touch with your favorite people really easy. 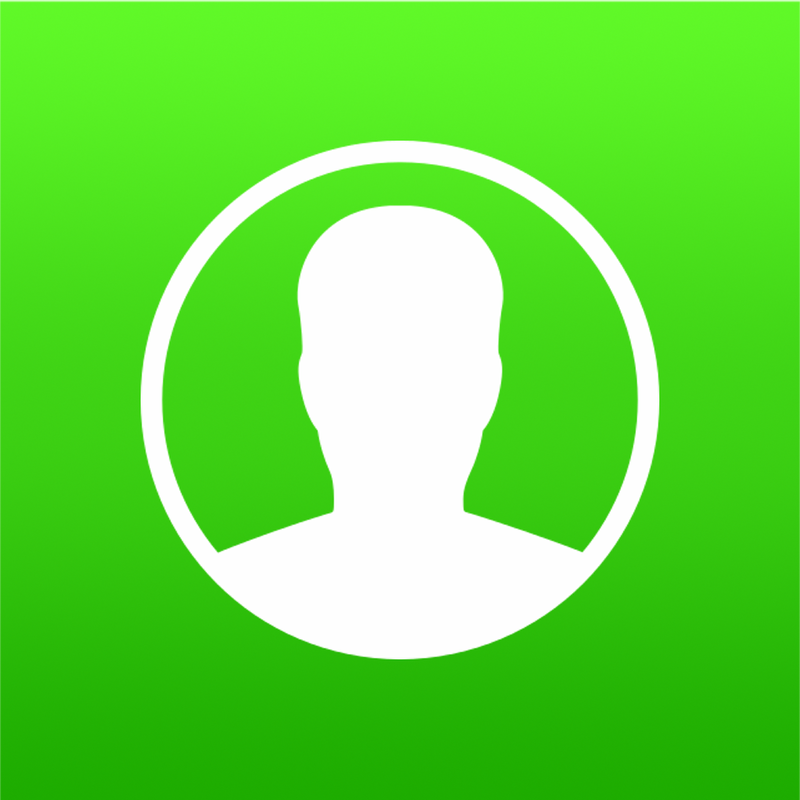 Send a group email or message, make a call, or connect using FaceTime. 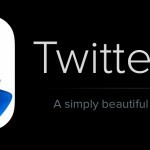 This app works as a nice companion with Launch Center Pro. What if you are one of the hard workers who often gets stuck at the office late or frequently trapped in an after-hours meeting with your boss? Maybe there is no pattern to your lateness, so your family has just asked that you send a quick message when you will not be home on time. With Contact Center, you can set up a message to your wife, son, and daughter that says “stuck at work, be home soon” and send it with one tap. This way, you are not messing with your phone as your boss is staring at you because all you did was click a button. After you add your contacts easily you can organize them better using folders if you like. To use Contact Center, just select a contact when you open the app and you will see the available communication options. You can quickly call, text, or email your contact. 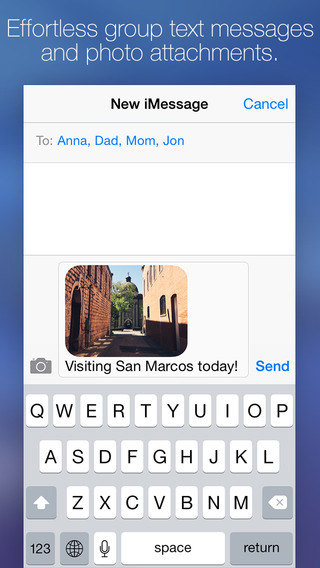 You can also send a GIF, use FaceTime Audio, or send a specific message that you created during the setup. 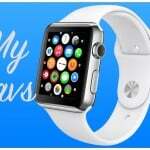 The app also allows for scheduled alerts, custom icons and messages, and the default photo source. Contact Center is designed for iPhone and available for free on the App Store. This is an ad-supported app with an in-app purchase at $2.99 to remove ads and add three more shortcuts. These two apps, Favorite Contact Launcher and Favorites Widget, are very similar with only slight differences. They both provide ways to message, call, or use FaceTime to communicate with your favorite contacts via the Notification Center. Think about being out on a run and realizing that you forgot your house key. You glance at your phone and realize that your parents were supposed to leave for an appointment less than five minutes ago and nobody else is home. You need to call them fast, right? With a quick tap from the Notification Center you can do this. There is no fumbling to open your app to make a call or even a need to open your contacts app. Just pop open the Notification Center and click one button. You’re saved! Where these two apps differ is how many contacts you can have for free versus in-app purchases. Favorite Contact Launcher is available for free for up to three contacts. Add three more, eight more, or up to 15 with in-app purchases at $0.99, $1.99, or $3.99. The $3.99 Gold Package also removes ads and lets you use different fonts. 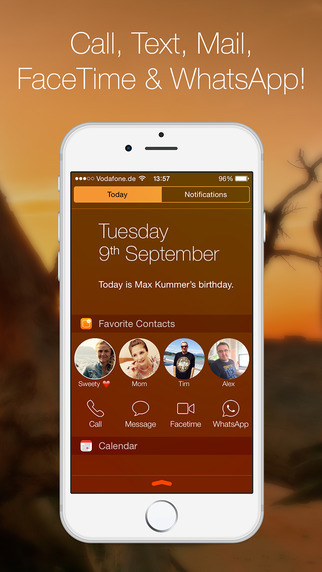 Favorites Widget allows you to set up plenty of contacts, but only displays five at a time. In order to display more, the cost is $0.99. 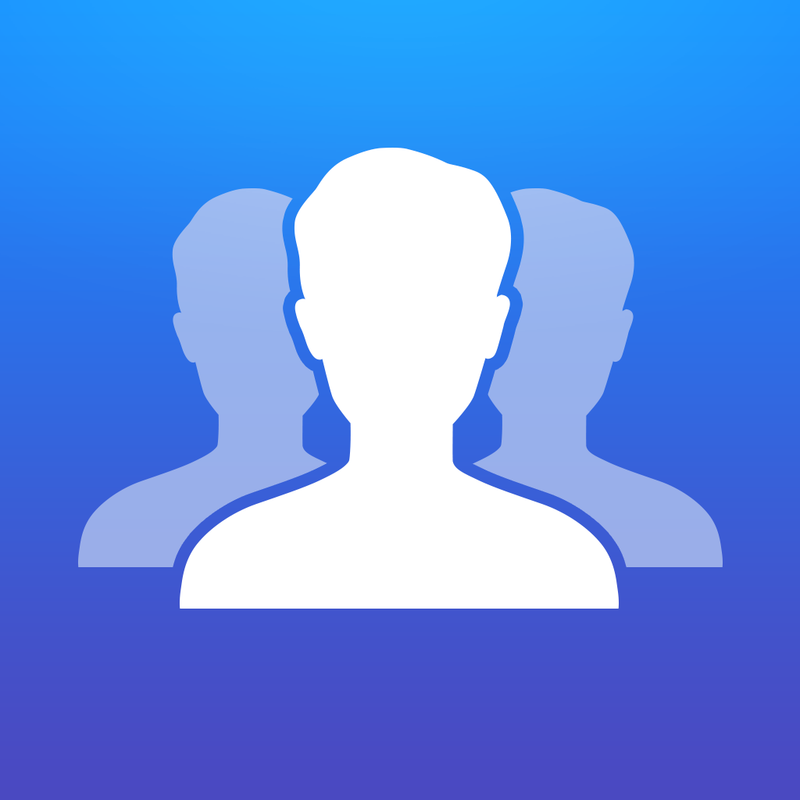 For the price you will get unlimited contacts, more communication options, access to groups within the widget, and more. 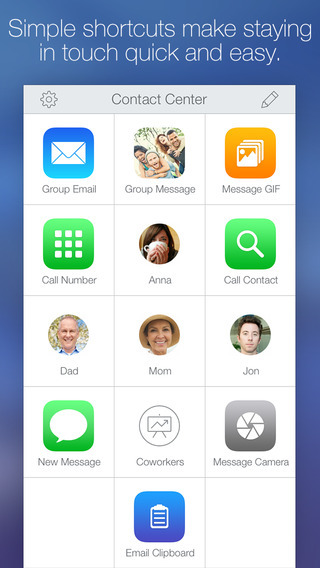 Favorite Contact Launcher is universal while Favorites Widget is designed for iPhone. You can try them both out on the App Store and see which you like best. The Launcher app takes advantage of that easily-accessible Notification Center. 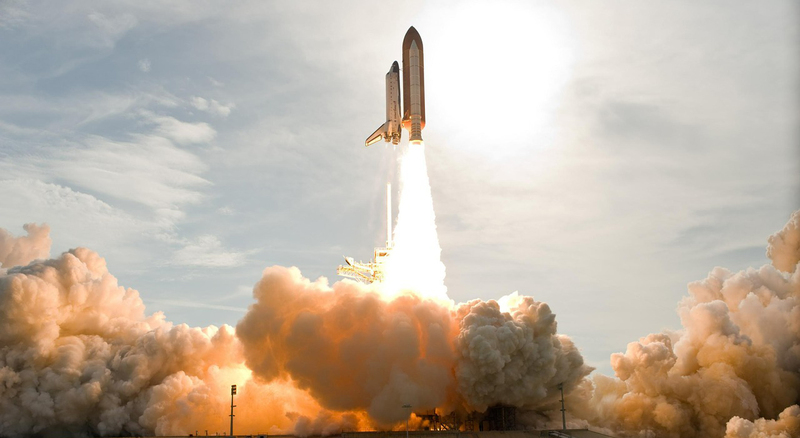 Launch an app, a website, or a communication with a contact quickly and easily. There is a custom action option too, however, it only appears to work for adding websites. What kinds of shortcuts should you include in the Notification Center? Well, everyone is different of course, but what if you go out to dinner often and use your tip calculator regularly? You can add that app to Launcher. What if your blog keeps going offline so you are checking it every hour? You can add that website to Launcher. With each of these examples you can quickly and easily check and use exactly what you need right from the Notification Center. 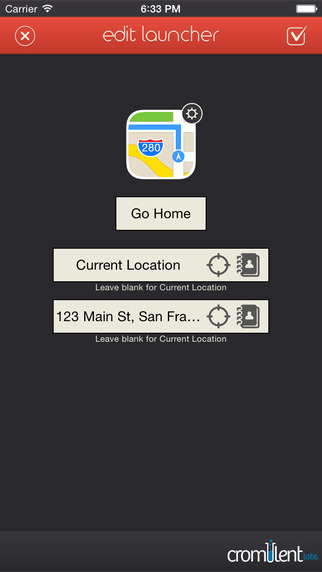 There is no need to navigate to your tip calculator app or to Safari. Just tap. Launcher, as you have probably guessed, is super easy to use. You just open your Notification Center and click the shortcut you want to use. Up to eight will display, on two rows, giving a nice view. Launcher with Notification Center Widget is available for free on the App Store. 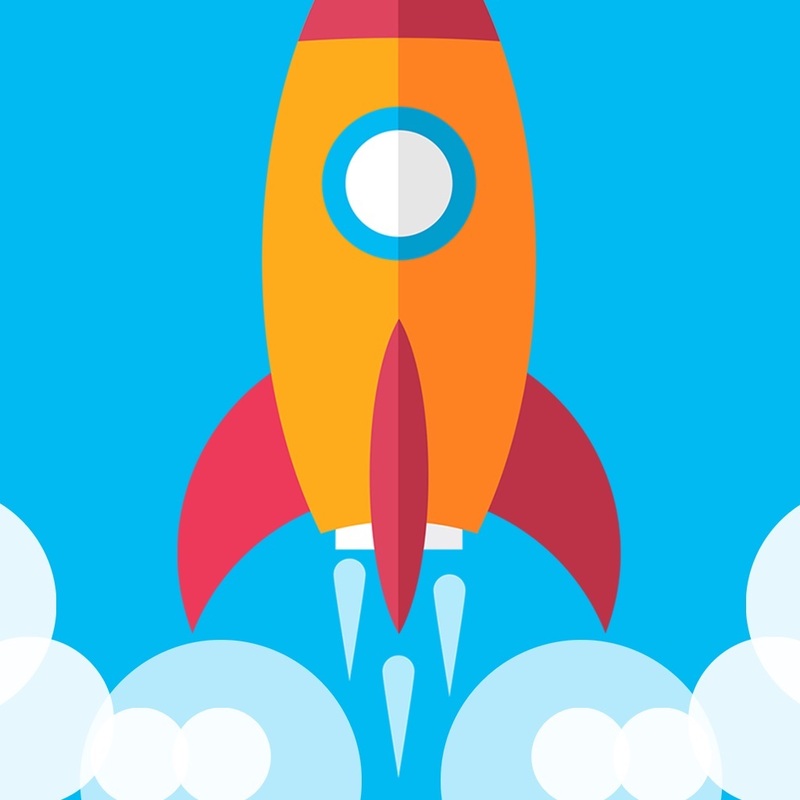 If you would like to upgrade to the pro version, there is an in-app purchase option which provides three additional rows of launchers, customization of icons and labels, and removes the sponsored launchers for $3.99. 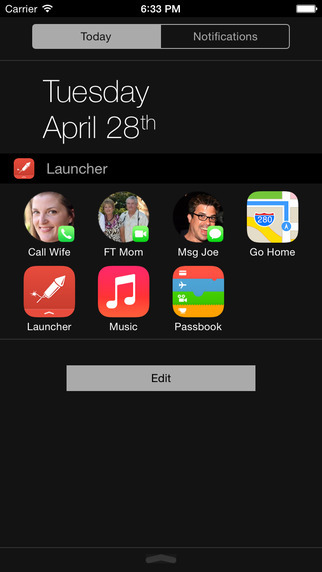 Launcher Widget is another terrific option for shortcuts in that easily-accessible spot. 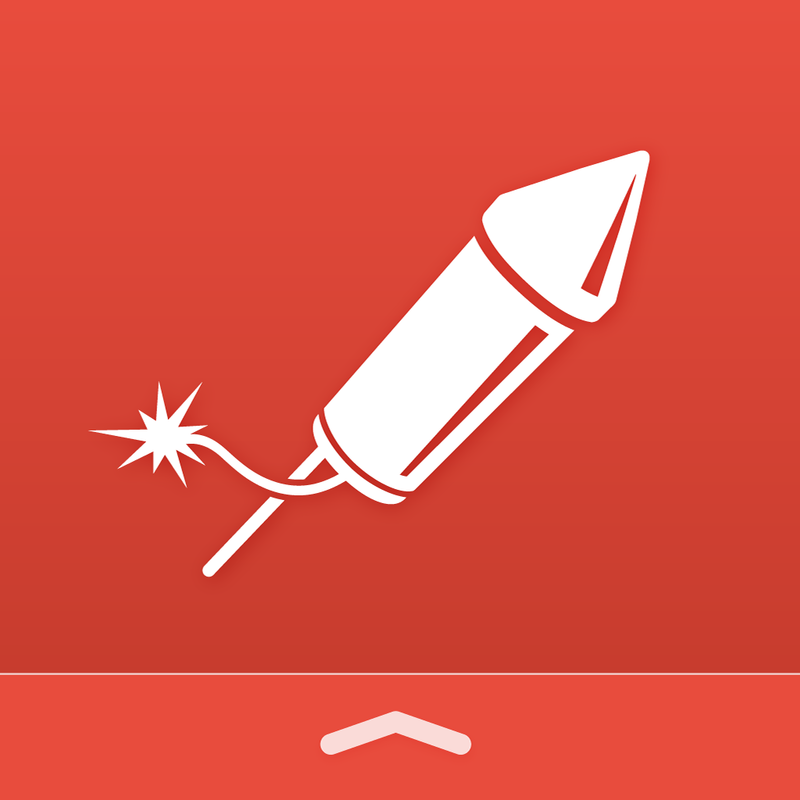 Like Launcher, you can open an app, communicate with a contact, or go to a website. 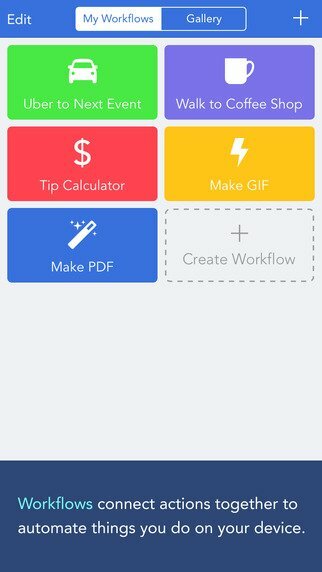 With this app, you also have the option to create your own. Some of the most convenient apps to have in the Notification Center might include your task list and calendar apps. If you check your to-dos several times a day to stay on track or are always reviewing your calendar to see when you have a spare moment, these are perfect apps for the Launcher Widget. Again, just pop open the Notification Center and click. Apps like Launcher Widget are great time-savers. Another simple to use tool, Launcher Widget will pop up in your Notification Center once you add it using the Edit button. Again, you will only see four options with this app for free. To obtain more launchers, there is an in-app purchase option for $0.99 which also removes the ads. You can also share on Facebook or Twitter or give the app a five-star rating to get more launchers. Launcher Widget for Notification Center is available for both iPhone and iPad on the App Store. Needs vary as do opinions on these, but they are all great choices. There is no “winner” here, however, my personal favorite would have to be Launch Center Pro. The simple setup, easy-to-use interface, and basic plus custom choices for shortcuts make it my go-to launcher app. Shortcuts for activities performed all the time on our devices save us time and often times, reduce the risk of mistakes like clicking the wrong app or contact. Launchers like these just make life easier.